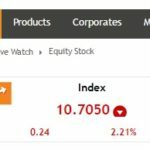 This article is on Open Interest in Option trading and will help you to know what may happen to Options with regards to Open Interest. In short the total number of outstanding option contracts in the exchange market on a particular day is open interest in options. As we have read for a trade to happen there has to be a seller and a buyer of option otherwise a trade cannot happen. Now let us suppose At The Money call option is 8700 CE and a lot of traders are looking to trade that. 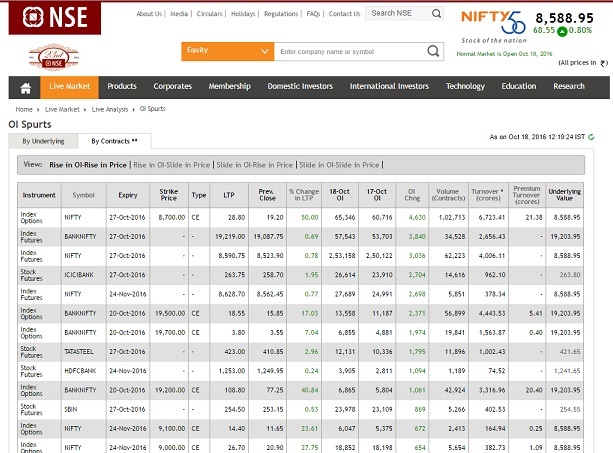 Lets also assume that India VIX (Option Volatility Measure Index which has a lot impact on option pricing) has gone high and there is no such news that may move the markets to any direction. Since India VIX has gone high most experienced traders will try to sell this option. 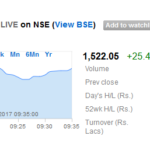 And if you see today’s market Nifty is up by 70 points. So a lot of traders will think it is a great buy option. Mostly the new traders who have no experience. Due to this a lot of trading will happen in the 8700 CE option and also there is a possibility of a lot of trading happening in 8700 PE option. In fact this is the main reason why mostly the open interest is higher in At The Money Options. Just to let you know that in my course I do not teach to trade on At The Money option as they are the most dangerous option to trade even for an experienced or for a new trader. Only time value is there in At The Money (ATM) options so I tell a different strike to trade in my course. Those who have done are pretty happy with the course, the reason you know now why. How The Open Interest is Counted? Obviously this cannot be done by humans so there are software working in the background in NSE and BSE to count the open interest. Let us take one example. One seller wants to sell January 2017 8900 CE. There is no buyer there. Open Interest 0. Trade is open. Suddenly one buyer sees it and thinks it’s too cheap and buys it. Open Interest account opens for January 2017 8900 CE. It is 1. Another seller comes and trade happens. Open Interest for January 2017 8900 CE is now 2. Let say over the next three days 200 people have done the trade and so the Open Interest is now 202. Let say on the fourth day three people closed their trade. Open Interest on January 2017 8900 CE is now 202-3 = 199. Hope now it is clear. All open trades on a strike are only counted. The trades that gets closed are taken out. The new trade that happens are added. This is how open interest are calculated by the software working with the BSE, NSE or MCX – the trading houses. Can We Benefit From Open Interest? You will see that in Television Business channels a lot of experts keep saying Open Interest has increased in that Call or that Put so it looks like markets resistance is there or support is there with reference to the strike prices where open interest are the most. Next day they change their view according to the open interest. So if you ask me I do not care. One day it will be right next day it will be wrong. Like this one day you make money next day you lose and it will keep happening. So I do not care. Those who think too much about Open Interest, support and resistance keep making and losing money. Those who done care about it and properly hedge their trades keep making money over time. So do not look at Open Interest and trade these strikes because half of them are sellers and half buyers, so nothing can be concluded for sure. Where to Know the Highest Open Interest? Here is a screen shot as of 18-Oct-2016 at 12.23 pm. Please note that it can change anytime – that is the reason I have written date and precise time. In the next class we will learn more important advanced terms on options trading like difference between Ask, Bid, LTP, Best Sell, Best Buy and about the stock exchanges.